Shine is due for publication by Rebellion/Solaris Books in April this year, and is already available for pre-order on Amazon (UK and US). As far as I can see, there’s a dollars-to-pounds parity on price, meaning that Stateside readers can net themselves a real bargain. New year, old genre: is it time for science fiction to die? SF doesn’t want to (try to) tackle today problems. It just wants to highlight them, exaggerate them into apocalyptic disasters and let the world go down the drain in five hundred different ways. SF is very good at imaging how civilisation (or the world in general) ends: if it only used part of that imagination thinking about solving an actual problem it might have had some more respect from the world at large. So let’s call it what it is: a failure of the imagination. Yes, quote me on it: ‘most written SF today suffers from a failure of the imagination’. It’s lazy, it avoids doing the hard work. In short, SF should get off its arse, be totally open to outside influences and other cultures, and get involved with proactive thinking, proudly using science, about the near future. Previous discussions (including some right here) around these points have highlighted the sharp division of opinion they create. I still find myself somewhat on the fence with respect to “optimistic” science fiction (in that I’d very much like to see more of it, but have no wish to see the demise of the darker flavours), but Jetse’s points about science fiction’s WASPish makeup, plus its perplexing resistance to taking creative risks and breaking with established tradition, hold a great deal of water for me. That said, I still find myself thinking that the problem is one of imprecise nomenclature; given that it’s still almost impossible to get any three people to agree on a useful working definition of science fiction, maybe we should give up defending the ragged and patchwork flag of a territory whose citizens long since underwent a diaspora into the continent of the cultural mainstream. 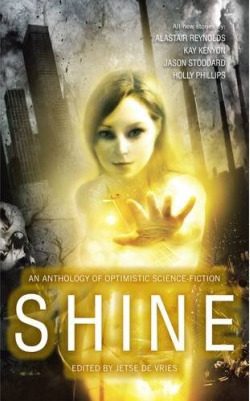 Shine is a collection of near-future, optimistic SF stories where some of the genre’s brightest stars and some of its most exciting new talents portray the possible roads to a better tomorrow. Definitely not a plethora of Pollyannas (but neither a barrage of dystopias), Shine will show that positive change is far from being a foregone conclusion, but needs to be hardfought, innovative, robust and imaginative. Most importantly, it aims to demonstrate that while times are tough and outcomes are uncertain, we can still bend the future in benevolent ways if we embrace change and steer its momentum in the right direction. 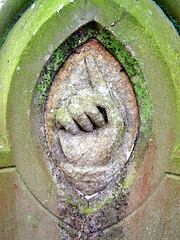 There’s a separate Shine anthology blog/website which Jetse intends to become “an open platform for optimistic sf”, and there are guidelines for those interested in submitting stories for consideration – the reading period isn’t until late spring next year, so there’s plenty of time to polish up your piece before sending it off. I’m happy to say that, while we’re not involved in any material way, Futurismic is proud to stand behind Jetse and Solaris on this project, and we’ll be giving it whatever support we can; I hope some other science fiction venues will see the merit in supporting people who are trying something new, even if it doesn’t necessarily line up with their own personal tastes.